You’ll need to take care of a few things right away. Reserve your Place at EIU! Our New Student Orientation is designed to help you make a smooth transition to EIU, connecting you with opportunities to become involved on campus and meet new people! During your Orientation, you will meet with an academic advisor, register for classes, receive your Panther ID Card, and meet other Future Panthers! Our New Student and Family Programs Office is also here to help you transition during your first semester and plans various activities during move-in weekend and the first six weeks of the semester! We are all here to help you make an easy transition to EIU! Incoming transfer students are not required to live on campus, but we always encourage our students to do so. You’ll find it’s easier to connect with other students, be active in clubs and organizations, and ultimately have a more fulfilling academic experience. With 11 different residence hall options for our transfers to live in, including transfer-themed floors, we know you will find exactly what you are looking for at EIU! Now that you are admitted to Eastern Illinois University, you can complete your housing application on your MyEIU account. Complete your application early so you’re more likely to get the residence hall you want to live in. Some of our halls fill up fast, so we encourage you to complete this as soon as you know you want to be an EIU Panther! The housing application includes a $50 non-refundable application fee. Once you have completed your housing application, you will be able to complete the room and board contract, when it becomes available each spring. On your room and board contract, you will select which residence hall you want to live in, which meal plan option you would like, and if you have a roommate request. We encourage all of our incoming students to complete the room and board contract by May 1. All students who want to receive Federal, State, or some forms of Institutional aid must complete the Free Application for Federal Student Aid (FAFSA). You will need to complete the FAFSA as soon as possible after October 1st of the year before you plan to enroll. 77% of our students receive some form of financial aid to assist with their education. We are here to help! 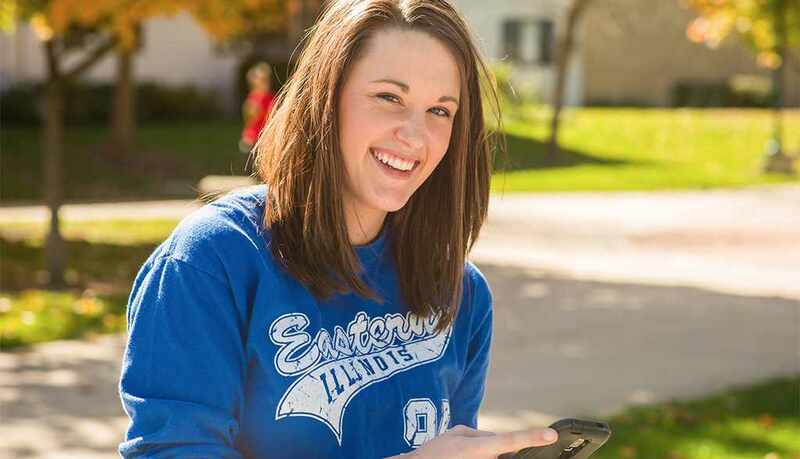 Eastern Illinois University is dedicated to you and helping you afford your college education! During the past year, we awarded over 27 million in scholarships and awards to EIU students! We offer automatic Merit Scholarships, Honors Scholarships, and Foundation Scholarships. Use the links below to learn more about the application process and deadlines for each of these scholarship opportunities. Our New Student Orientation is designed to help new students make a smooth transition to EIU and connect them with opportunities to become more involved on campus and meet new people! During your Orientation, you will meet with an academic advisor, register for classes, receive your Panther ID Card, and meet other Future Panthers. Our New Student and Family Programs Office is also here to help you transition during your first semester and plans various activities during move-in weekend and the first six weeks of the semester. We are all here to help you make an easy transition to EIU!